Twelve banks in Ibadan, the Oyo State capital, were sealed on Monday morning by the state’s Board of Internal Revenue for non-payment of Environmental Development Levy spanning over three years. Two enforcement teams from the board stormed the banks to carry out the order. 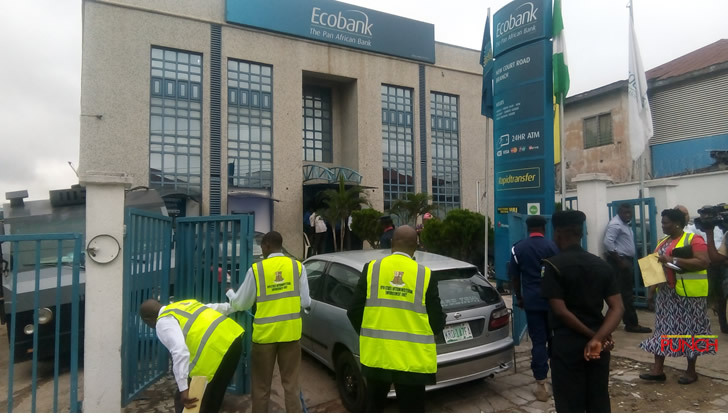 However, some officials of the banks tried to prevent the teams from sealing their premises. It took the intervention of security agencies attached to the teams to ensure that the order was carried out. The amount owed by the banks according to the board ranged from N800,000 to N5m. Many customers were unable to access the premises while those inside had to leave through alternative routes. The Chairman of the board, Mr Bicci Alli, said that the banks were given enough notice and time to pay what they owed the government. “We wrote letters to them to perfect their books but they did not do the right thing. We published reminders in two national dailies but we did not get their response.